Who doesn’t love a great fairy tale? They’re so magical. So full of mystery. These have simple text and bouncy pictures too. Not just once upon a time: every storytime! If you’re a kid, listen up. 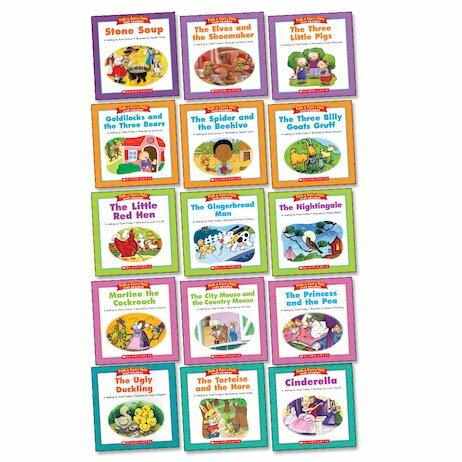 No childhood is complete without these classic tales. Ones like Cinderella, The Three Little Pigs and The Gingerbread Man. Now they’re retold just for you, with lots of colour pictures and just a few simple words and phrases per page.